Our goal is to connect people with the best local experts. 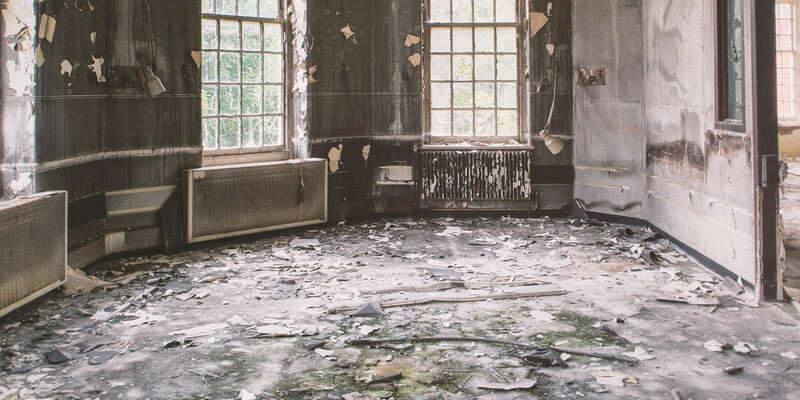 We scored damage restoration companies on more than 25 variables across five categories, and analysed the results to give you a hand-picked list of the best damage restoration companies in Clifton, NJ. A Friendly Carpet Cleaning & Restoration LLC specializes in emergency water extraction and water damage restoration, as well as carpet, upholstery, tile, and grout cleaning. The company has been serving the neighborhoods or Bayonne, New Jersey and Staten Island, New York since 1995. Their team of technicians is also equipped to provide services including commercial carpet cleaning, wood cleaning, mattress cleaning, dryer vent cleaning, and Oriental rug cleaning and restoration. A Friendly Carpet Cleaning & Restoration LLC offers free consultations and estimates and provides customers with a 100% money back guarantee. The business has received praise from previous clients for honesty, integrity, and professionalism. Screened and Approved by HomeAdvisor and certified by the International Restoration Institute, All Jersey Environmental Services is a professional damage restoration company with offices in East Hanover, Brick, and Mantoloking, New Jersey. The company serves clients throughout the surrounding metropolitan area and is fully bonded and insured. Service provided by All Jersey Environmental Services include mold removal and remediation, water damage restoration, sanitizing services for the childcare industry, advanced thermal imaging and moisture detection, household sanitation, air quality lab testing, and more. One of New Jersey's largest environmental service companies, All Jersey Environmental Services offers prospective clients a free quote on its work. AOA Cleaning & Restoration is a licensed New Jersey home improvement contractor. AOA serves commercial and residential properties throughout Northern New Jersey. AOA has achieved screened and approved status from HomeAdvisor for five years and is also a top-rated business on HomeAdvisor. AOA Cleaning & Restoration specializes in property damage restoration services such as flood cleanup, mold removal, sewage cleanup, storm damage repair and recovery as well as high-level disinfectant services. The company's insured and highly qualified restoration services team is available 24/7 to help customers in dire need of immediate assistance. The company is an IICRC-certified firm and has an A+ rating with the Better Business Bureau. Certified Carpet Management/Water Emergency Technologies is a family owned and operated damage restoration company based in Summit, New Jersey that has been in business for more than 45 years. This highly experienced team specializes in carpet cleaning and emergency water damage services, including water extraction, cleaning and sanitation, structural drying, hardwood floor restoration, odor control, and moisture elimination. Trained mold technicians are also available for inspection, air quality testing, identification, and remediation of mold growth. Additional areas of expertise include sewage backup cleaning, carpet, tile, grout, and upholstery cleaning, floor strip and wax, smoke damage clean up, and post construction and warehouse clean up services. Certified Carpet Management/Water Emergency Technologies is a BBB accredited business with an A-plus rating. Dry on Time specializes in providing water damage restoration to residential and commercial clients throughout New Jersey. Their experts have fifteen years of experience and pay extreme attention to detail. Dry on Time's emergency services for water, fire, and smoke are available any time of the day or night. They also offer mold removal, sanitization services, and rug cleaning. Dry on Time works directly with insurance companies creating a streamlined process for the customer. Potential clients can easily request an estimate through a simple online form. Dry on Time is certified by the IICRC, and ISES training center for asbestos, lead, mold, HazMat, & OSHA Safety Courses. Jersey Pro Restoration LLC has been providing high-quality damage restoration in the North Jersey Area since 2013. They are a family-owned business that recognizes the serious concerns that flood, storm, water damage, and mold infestation can bring in to a home, and they understand the care that is required to do the job of restoring that damage and getting your family back to normal as quickly and affordably as possible. They provide restoration for water, fire, smoke, and storm damage, and are qualified to make plumbing repairs as needed. Mold can be especially difficult, and Jersey Pro offers expert mold testing and remediation services as well. Additionally, sewage repair and cleanup is offered. Estimates are 100% free, and they are available 24/7 to Wayne County and surrounding Northern New Jersey areas. Medi-San provides disaster restoration, biohazard cleanup, and mold damage restoration services for homes and businesses in East Hanover and the surrounding areas. They provide flood cleanup service and storm damage repair, water, fire, and mold restoration, death or suicide cleanup, and content packing and cleaning. The company is fully licensed and experienced in handling any restoration or cleanup to make a home livable after an event, as well as restoring facilities after natural disasters, accidents, biohazard contaminations or mold. They also provide board up services to protect property, perform hoarding cleanups, and offer a fast response to industrial accidents to minimize any interruption to a business. This initial response includes keeping the space free from hazards through the use of certified materials and procedures. NJ Water & Mold is a professional damage restoration service catering to the reconstruction needs of the Ridgefield area for more than a decade. The company prides itself on providing excellent customer service during stressful moments that inevitably follow property damage. The services they offer include water damage repair, mold removal, storm damage recovery, fire damage restoration, and smoke damage cleanup. Customers are delighted with their work, praising the service's extensive knowledge and helpful service. The company was recently presented with its 4th consecutive Angie’s List “Super Service Provider” award, is accredited by the Better Business Bureau, is a certified mold professional, and is certified as a lead safe firm. Their services are available 24 hours a day, seven days a week, and 365 days a year. Water Damage Bergen County is a business located in Midland Park, New Jersey that specializes in water damage restoration, mold remediation, and fire damage restoration. The company is available to assist customers in emergency situations on a 24/7 basis. Services are available to all towns within Bergen County, including East Rutherford, Elmwood Park, Englewood Cliffs, Franklin Lakes, South Hackensack, and Washington Township, among others. The team at Water Damage Bergen County is equipped to provide full-service restoration at both residential and commercial facilities. Previous customers have praised Water Damage Bergen County for their responsiveness to inquiries and friendly, knowledgeable technicians. Water Damage Clifton is a fully certified and licensed restoration company that prides itself on its experience and state-of-the-art equipment. Water Damage Clifton specializes in providing water damage restoration and mold remediation services to both residential and commercial properties using cost-effective methods and a highly trained workforce. Water Damage Clifton is locally owned and operated, IICRC-certified, offers free estimates, and the company promises to be on site within 45 minutes. Apart from restoration services, Water Damage Clifton offers cleaning services for air ducts, HVAC, carpet, upholstery, drapes, blinds, ceilings, walls, hard floors, and even crime scenes.